It can be difficult to know your social media strategy is truly adding value or whether it’s working at all. However, you should have no trouble knowing when your Twitter account is actively working against you. Each of these companies had a flawed understanding of how the Twittersphere operates and were forced into defensive mode to salvage the brand when a Tweet backfired. Learn from their experiences and think twice before you tweet. Kenneth Cole made the mistake of joking about the Arab Spring upheaval in Egypt in an attempt to promote the designer’s spring line. The negative backlash from the Twitverse was immediate and intense, including the creation of a Twitter account dedicated to mocking Cole whenever possible. While the designer quickly made a properly contrite approach, the lingering ill will underlines three major aspects of modern digital communication: attempts at humor often misfire, brands should invoke politics as little as possible, and “going viral” doesn’t always turn out the way you’d hoped. Eager to grow the brand, U.K. furniture company Habitat took an inadvisable shortcut by piggybacking on trendy hashtags from the merely opportunistic (Apple and iPhone), to the politically insensitive (the Mousawi elections in Iran). Habitat didn’t even bother to establish a labored context to justify the hashtags, simply placing #iphone or #mousavi at the start of their unrelated (and possibly automated) tweets. Remember, spamming is always the wrong strategy. Piggybacking gets into even more dangerous territory when people’s health and lives are at stake. American Apparel rode a tasteless and insensitive borderline with the company’s Hurricane Sandy Sale (tagline: “in case you’re bored during the storm”). Reasonable sensitivity or common sense may not provide the same viral potential as controversy, but it will better serve your brand in the long run. CelebBoutique didn’t play their cards right when they linked the “Dark Knight Rises” premiere shootings in Aurora with the company’s Kim Kardashian-inspired dress. Even if you find the company’s excuse about non-U.S.-based marketing plausible, this is a clear lack of basic due diligence. If you must piggyback on trending hashtags, at least take a look at the headlines first. The rewards of piggybacking on tragedy must be compelling, or some companies are still completely oblivious of the consequences. Epicurious joined the growing list of tragedy exploiters when it Tweeted Boston-themed advertisements immediately after the marathon bombings. Epicurious also provided an example of how not to apologize afterward, by stating “we regret that our earlier food tweets seemed offensive,” subtly evading responsibility and deflecting blame toward those who were offended. 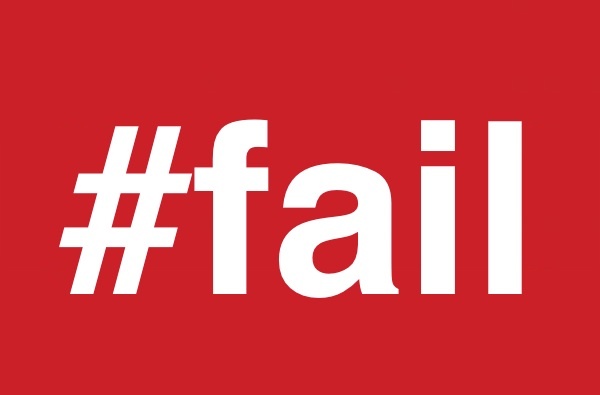 Neither Vodaphone’s homophobic tweet nor Chrysler’s F-bomb were failed marketing ploys, just examples of one obscenity-laced Tweet that cost the company dearly. In addition to the public embarrassment, both companies were forced to devote resources to handling unnecessary customer inquiries and complaints. Expect to see more examples of this particular kind of Twitter fail as the Bring Your Own Device (BYOD) trend increases, despite the fact that such mistakes are eminently preventable. Simply moderate all outgoing social media posts, and implement employee practices that keep personal and corporate accounts completely separate. This local Vietnamese restaurant achieved national notoriety by failing at Twitter in a particularly personal way, which was “calling out” a patron who made a reservation and didn’t show up. Along with alienating customers, the restaurant’s combative approach led one follower to invite other disgruntled patrons to post negative reviews using the restaurant’s hashtag. Most social media strategists will tell you that the goal is “engagement,” but getting personal is never a good idea.